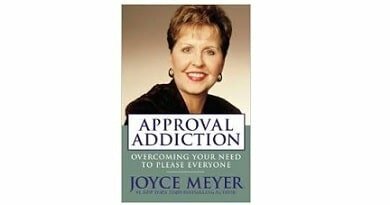 Approval Addiction: Overcoming Your Need to Please Everyone by Joyce Meyer. Many people are insecure, and this is one of the causes of problems in all relationships. Those who had been hurt through abuse or severe rejection suffer from approval addiction that is a sign of low self-esteem. They feel miserable if anyone seems not to approve them. They constantly need someone to reaffirm them and assure that everything is all right, and they are acceptable. This book deals with approval addiction and the need to please everyone. It is a practical help for facing your fears and finding freedom. 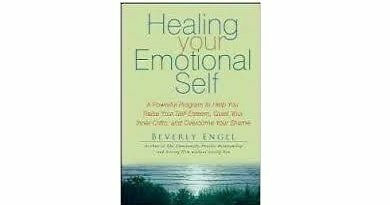 This book will show you how to accept yourself and break the patter to please others. Let go of the fear of rejection. Identify the results of rejection. This approval addiction book will help you to take a hones look at who you are and how you are feeling. Joyce Meyer comes from an abusive background that leads her to reject herself. She suffered poor self-image and felt that nobody liked her. As a consequence, she always acted as she didn’t need anyone. Approval addiction will teach you how to overcome your insecurities. The book is divided into three sections. Section two addresses other addictions and our need to overcome them. Section three shows how to break controlling powers. Approval addicts almost always end up being controlled and manipulated by others. Learn the characteristics of the person being controlled and the two types of control. Self-acceptance by understanding that our struggles with our self esteem, sense of worth, can be overcome. The specific character traits that foster addiction and how our past shapes our behavior. 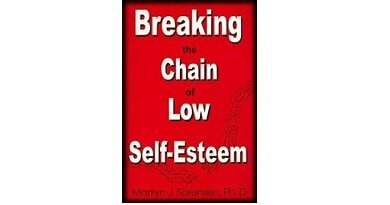 How to break the chains of insecurity and move toward a life free from emotional pain. That God tells us in the Bible that we are loved, and we are worthy. “When we base our self-worth on how people treat us, or no what we believe they think about us, it causes us to become addicted to their approval. We do not have to be approved of by certain individuals to feel good about ourselves. When we think we do, we have a false belief that will open the door for a great deal of misery in our lives. We may spend a lot of time and effort trying to please people and gain their approval.